Whatever website functionality you require, we are the experts! BESPOKE FUNCTIONALITY Whatever functionality you require, we can create it! Choose the web development company with a proven track record! A website not only needs to look great, but it also needs to have great functionality. When visitors browse any website they want to be able to easily browse web pages and use any website features, without experiencing any problems. This is where high quality, robust web development delivers results. Whatever your web development requirements are, Globalgraphics has the experience and skill to deliver you with the best possible results. Our web development company has been established for over 20 years, and during that time we have built over 2000 innovative website solutions. Because of our experience, we are proud to be Number 1 web developers in Birmingham. You'll find a huge range of websites that we have designed and built in our on-line Portfolio. We work with customers from all sectors of industry to create website solutions that achieve on-line success. WEB DEVELOPMENT AT ITS BEST! Our Experience Counts! We are industry experts with over 20 years web development experience. Custom Functionality Whatever functionality you want for your website, we can build it. Rubust Web Development We develop all websites using the latest techniques used by web developers today. Quality Guaranteed All of our web development work is fully tested to ensure the highest quality. Training & Support We'll fully train you on how to manage your website, and be there to support you when your website launches. When you speak to us about your website requirements we'll make sure we fully understand exactly what you want regarding website functionality. We'll then discuss web development solutions with you that can help achieve your goals and objectives, and provide you with a detailed quote document. 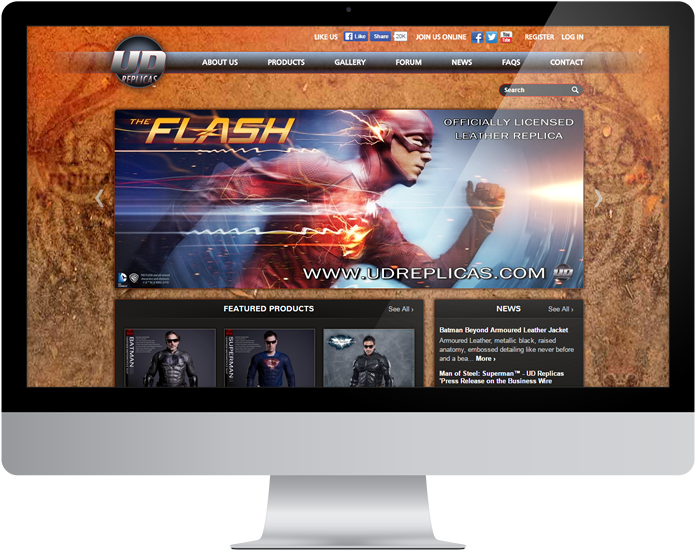 Globalgraphics has its own in-house team of highly experienced web developers that will create and build your website. You will be invited to join our project management and collaboration system which will allow you to view all progress of your website in a secure area on-line. As a responsible web developer we want to deliver you with the best possible website solution that fully meets your individual requirements. Once built, Globalgraphics will rigorously test the functionality of your website to ensure it performs perfectly, as well as being compatible across all browsers. For all content managed websites and e-commerce website solutions we'll provide you with full training at a convenient time for you. When you are ready for your new website to launch we'll also provide you with unlimited technical support to ensure your peace of mind. Let's discuss your web development requirements today! Call us on 0121 667 8667. Or please fill in the form below and we'll contact you!